The Ambassadors of Harmony and IN UNISON ensembles share the stage for an impactful version of Sam Cooke’s “A Change is Gonna Come,” led by Brian Owens, Crossroads and The Fairfield Four. MARCH 3, 2017, FERGUSON, MO. 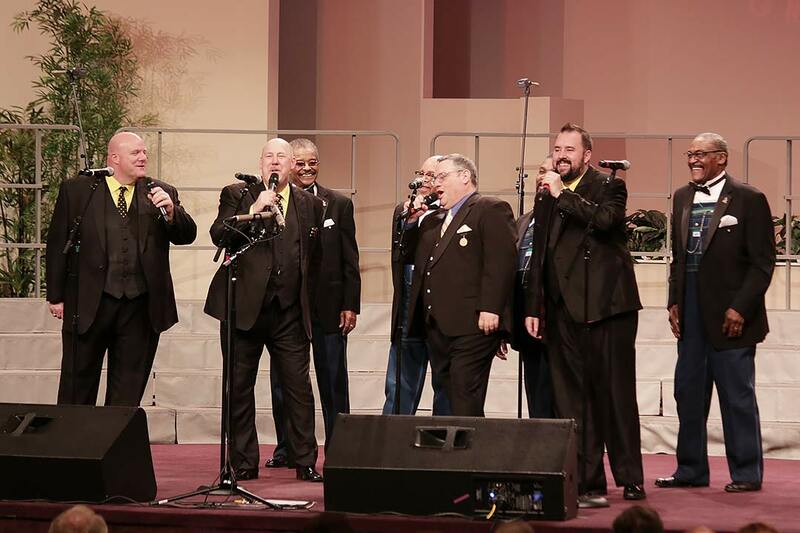 According to Merriam-Webster, the word harmony means “the combination of simultaneous musical notes in a chord.” That’s how we, a community of artists inside the Barbershop Harmony Society, know it. The Ambassadors of Harmony are attempting to do both. 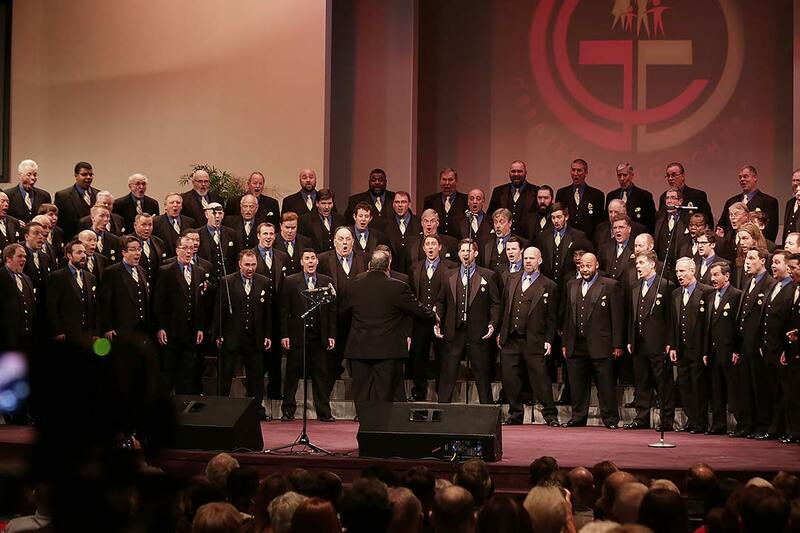 Along with their artistic neighbors, the St. Louis Symphony IN UNISON Chorus, the Ambassadors of Harmony put on a show this past spring. 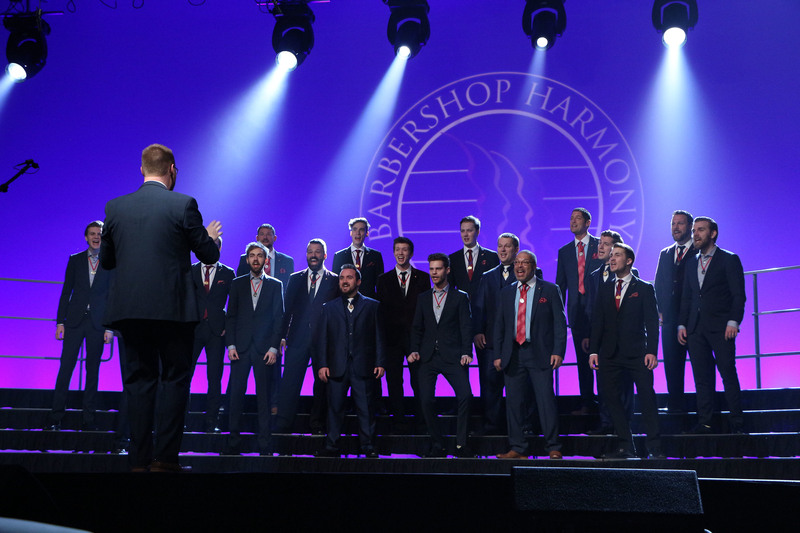 The show reverberated throughout the barbershop world; not just because it was sold out or because the lineup was all-world or because it was a collaborative effort between two musical powerhouses in one community. 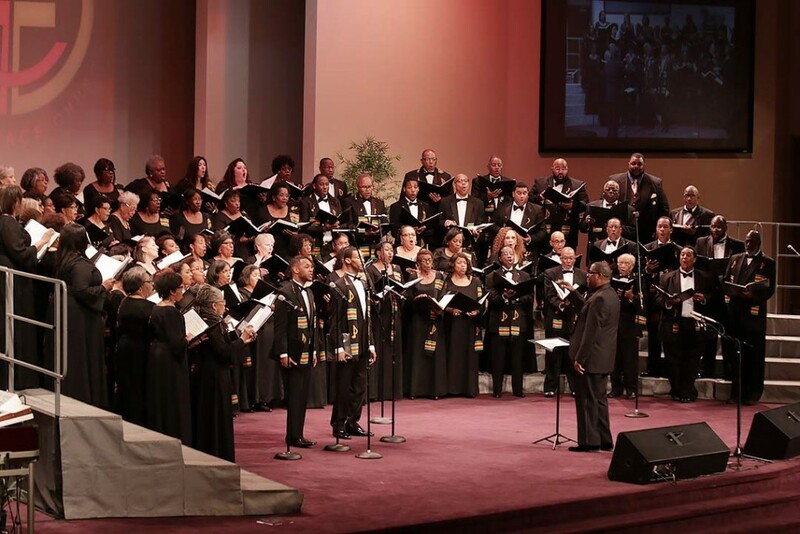 Another reason was because the “Then Sings My Soul” concert was held in Ferguson, Missouri. The city has been in the news quite a bit over the past few years, for all the wrong reasons. In the summer of 2014, a white Ferguson police officer shot black teen Michael Brown, and conflicting reports on the nature of the incident surfaced in the national media daily. The predominantly black St. Louis suburb became the national epicenter for heated conversations regarding police violence, inequality, crime, and racism. Many protestors traveled to Ferguson, and some rioted. The U.S. president sent the U.S. Justice Department to investigate. In March of 2015, the local police chief resigned and two police officers were shot. Then, a month later, Ferguson saw more protests/riots in response to the death of Freddie Gray while in Baltimore Police custody. In short, the name “Ferguson” has been shorthand for “negative race relations” for some time now. Johnson is very proud of that. People coming together and standing together in harmony. A real-life example of what the Ambassadors were trying to accomplish with this concert. But where to hold the concert? Ferguson, yes, but where within the city? What venue would work hand-in-hand in promoting the Ambassadors’ vision of community harmony? “We looked at other churches that Dr. David Wright spoke to and, when we came here, it was instant,” Johnson said about the selection process. That right place? Greater Grace Church located just off of Interstate 270 in Ferguson, roughly 20 miles from the heart of St. Louis. Director of the St. Louis Symphony IN UNISON Chorus, Kevin McBeth, leads his ensemble in song during the concert’s opening set. Reaching out is one thing, but how does a predominantly-white chorus drum up enough interest in a seemingly predominantly-old fashioned art form to put on a successful show in a predominantly-black area like Ferguson? Not a bad stroke of genius. 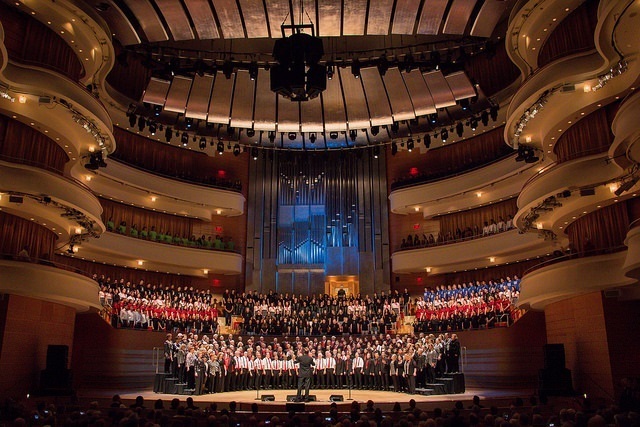 Seek permission from a future venue and perform for its (in this case) congregation in order to promote a show. Even if said congregation is made up of people who don’t look like most of the chorus. Owens is a soul singer and the Artist-in-Residence and Program Manager at the St. Louis Symphony who released his latest album “Soul of Ferguson” this past February. Indeed. Every performer on the bill shared the stage for a finale that featured Sam Cooke’s classic and impactful song. Vision? Check. Performers? Check. Venue? Check. Music has enough of an impact to change lives in and of itself, we all know that. But when the Ambassadors of Harmony, IN UNISON, the Grammy Award-winning Fairfield Four and the 2009 BHS quartet champ Crossroads all perform at the same event—with that event being hosted by Owens—it’s safe to say that impact can be accelerated. Members of the audience aren’t the only people impacted by a show like this. Fairfield Four and Crossroads belt out the soulful gospel tune “Roll Jordan Roll” in front of a sold-out Greater Grace Church. Johnson, in particular, has a unique perspective on the night as he sings in both of the events’ featured groups. 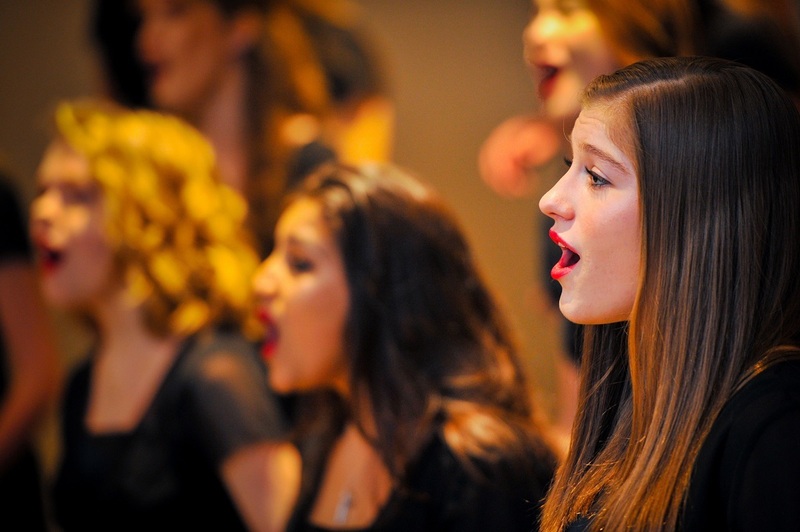 Side note: being a part of two choruses on the same show can’t be easy. As is reaching out to others outside our comfort zone. But the Ambassadors and IN UNISON both managed to do that with this one concert. Without question, those efforts, songs and performances left a last impression on the diverse audience. Tens of thousands of others, actually, Mr. Johnson. Because we all stand with you in an effort to bridge divides, come together and change lives through music. In other words: everyone in harmony. Our communities move to become a great place for us to live, work, and raise our children. But not very often do we have a chance for fellowship outside of our circle. The Ambassadors have been seeking ways to become more inclusive and diverse with all of its community near and far. There was special need to bring our community together because of the negative direction race has taken us in over the years. One thing that crosses all of those boundaries is the love of music. Then Sings My Soul grew from a need for the African American community and the shared community to heal some very deep wounds of misunderstanding and misguided hate. Music was the medicine that would start this process and would be the common ground where all of God’s children would come together for a night of joyous music. 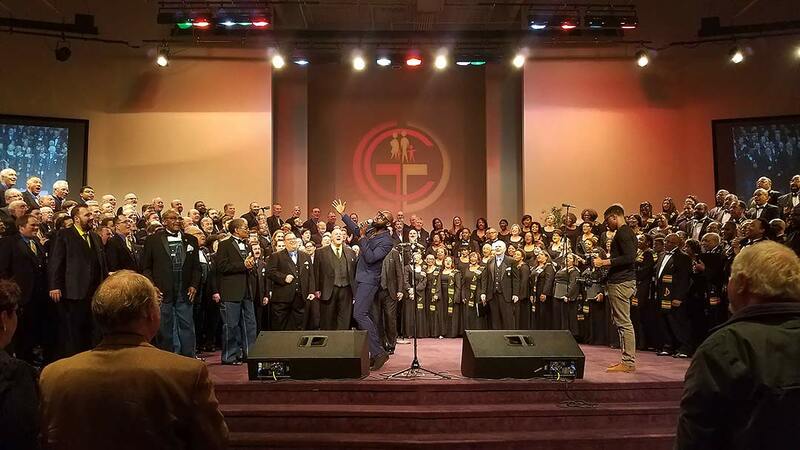 The collaboration with the Greater Grace church, Ferguson community, the Ambassadors of Harmony family, The Fairfield Four, Crossroads, and the St. Louis Symphony’s InUnison Chorus was a true sign of unity and was a life-changing spiritual experience. These communities that were brought together in Ferguson may have never crossed paths had it not been for this concert, which quickly turned into an evening of unity. This gathering of diverse people was a true expression of multiple races saying we are all the same and are brothers and sisters brought together by the love of music. People stood hand in hand to embrace one another, charged with the mission to see people not color, but rather “addressing one another in psalms and hymns and spiritual songs, singing and making melody to the Lord with your heart.” [Ephesians 5:19]. This exposure to diverse audiences has been a true blessing for all and has opened many doors of opportunity for continued growth.